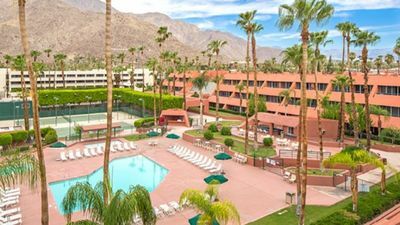 Welcome to Desert Oasis. 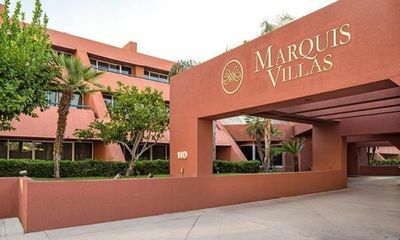 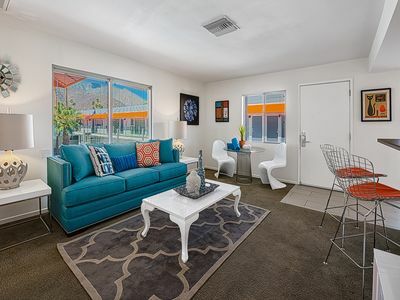 A beautiful, modern, 2 bed/1 bath condo in the meticulously maintained gated community of Sunrise Palms. 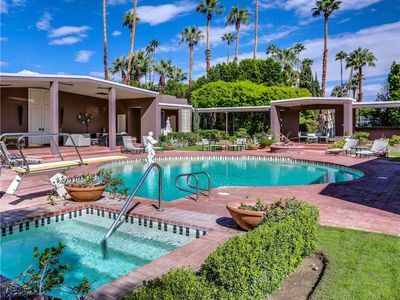 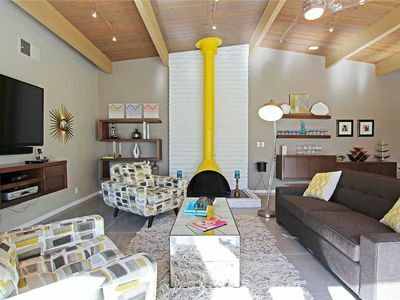 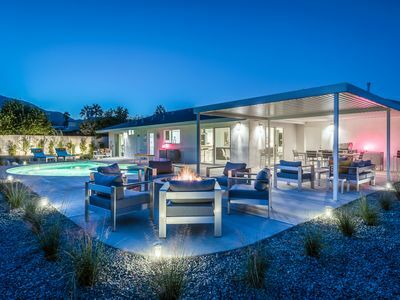 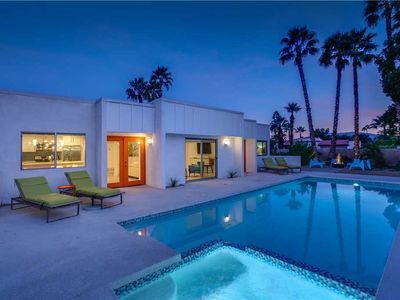 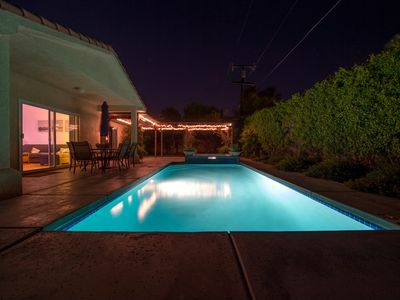 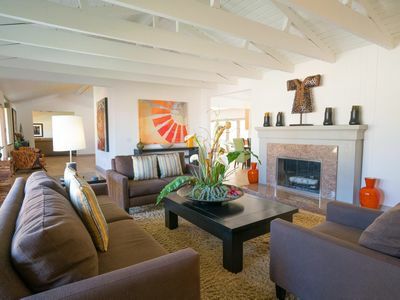 Completely renovated and features quintessential modern décor that Palms Springs is known for. 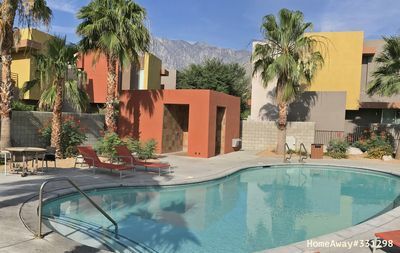 Features a large, privately fenced backyard with stunning mountain views that is perfect for your furry travel companions. 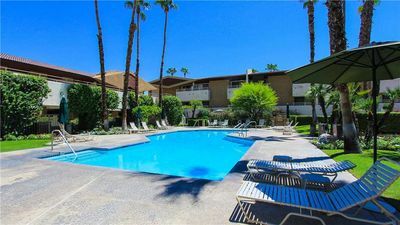 Close to downtown's restaurants and bars and within minutes to the famous Tram. 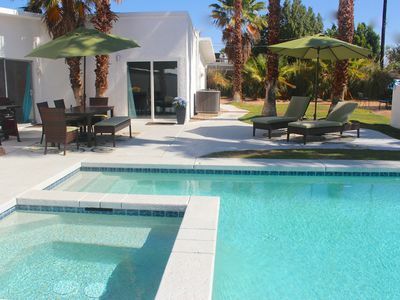 Community features eight heated pools and spa, tennis and b-ball courts. 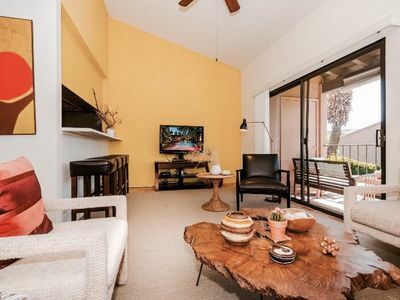 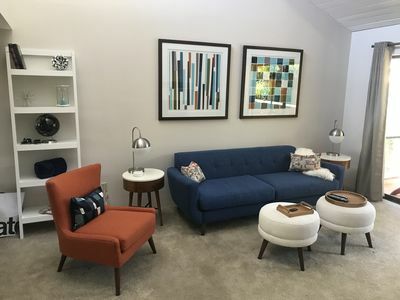 Breathtaking mountain views from this very private, updated Mid Century condo! 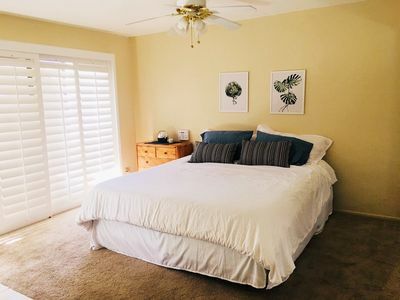 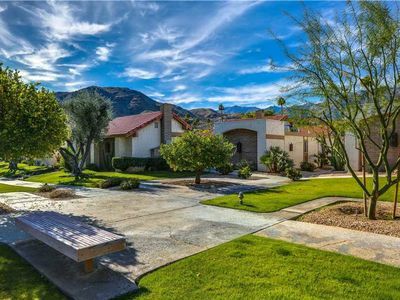 Quiet, serene oasis situated adjacent to Tahquitz Golf course.